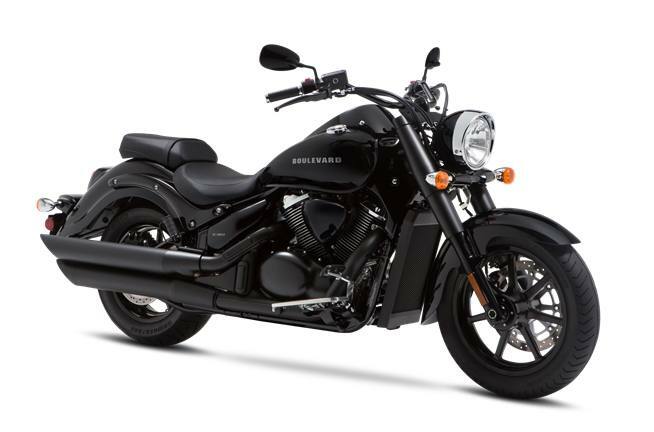 2019 Suzuki Suzuki Boulevard C90 B.O.S.S. for sale in Baltimore, MD. PETE'S CYCLE CO. INC.
Riders settle in behind wide, buckhorn-style handlebars, with feet comfortably on forward-mount floorboards, while sitting on a plush seat that's just 28.3 inches above the ground. Sculpted powerplant features blacked out engine and air cleaner covers that complement the visually striking cylinders with symmetrical cooling fins. Four-valve cylinder heads with overhead camshafts and dual spark plugs increase combustion e?ciency to help ensure seamless throttle response, gutsy low- to mid-range output, better fuel e?ciency, and reduced emissions. 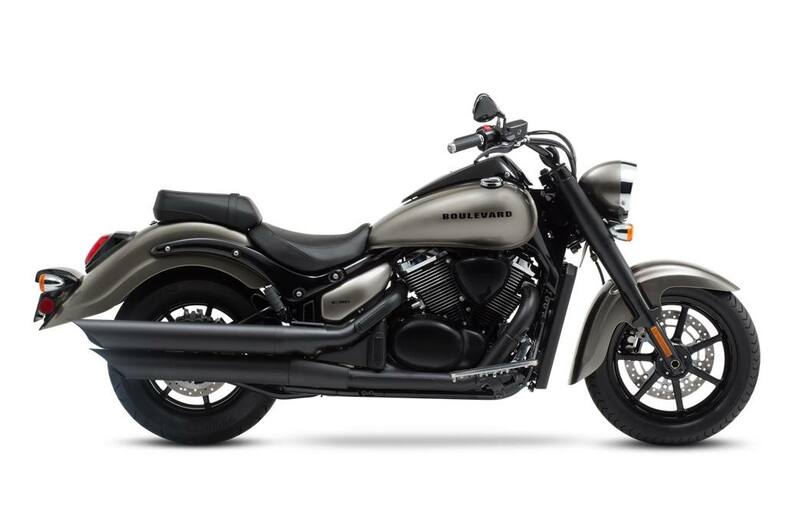 Blacked out, dual exhaust system mounted on the right side of the engine is tuned for responsive torque delivery, providing a deep, rumbling exhaust note. The styling incorporates a modern take on classic cruiser visuals with rich paintwork, blacked out suspension and chassis components, plus deep front and rear fenders with flared ends. Additional cruiser-friendly features include well-positioned footboards, 4.8-gallon fuel tank, and shaft drive. 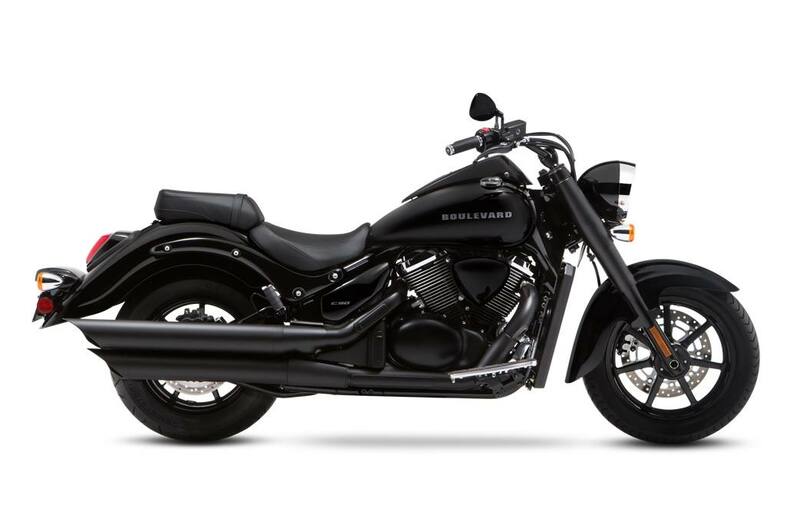 Design engineers focused on creating an ideal rider's triangle - footboards, handlebars, and seat positions set to deliver classic control with outstanding comfort. Wide passenger seat makes for comfortable two-up rides. 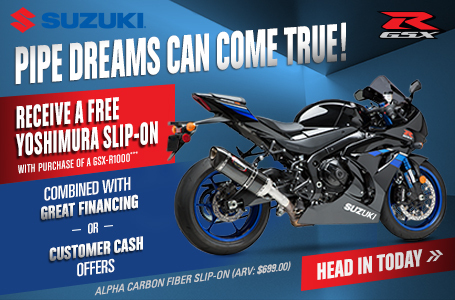 It's stepped location on the rear fender allows passengers to see over the rider's shoulder. Stout telescopic front forks deliver generous 5.1 inches of smooth wheel travel, and the long 65.9-inch wheelbase provides a smooth, comfortable ride. 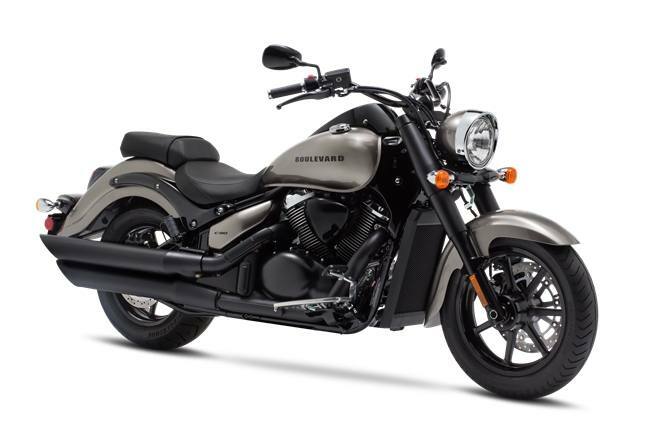 A beefy 16-inch rear tire and complementary 17-inch front tire have wide footprints and are mounted to black, cast-style wheels for a robust cruiser look. The multifunction instrument includes a convenient gear-position indicator and a fuel gauge, along with a clock and a trip meter, plus indicator lights for low fuel, turn signals, and more. Bright multi-reflector headlight. Durable, efficient, and compact LED tail light and four bullet-style turn signals.